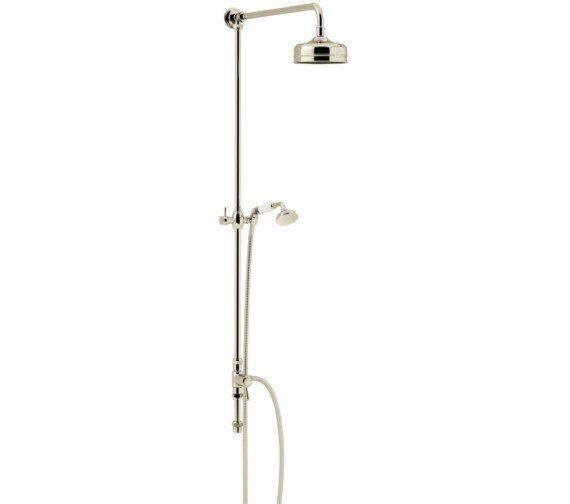 The Heritage Fixed Rigid Riser with Rose and Handset Kit are timeless pieces of bathroom ware that are visually pleasing and practical. 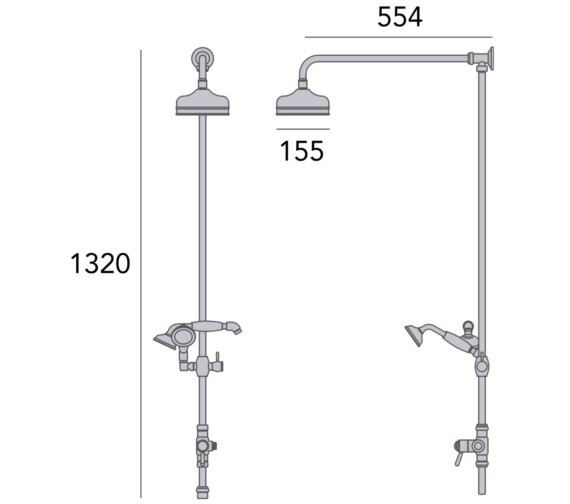 The elegant looking riser complements both shower heads while the integrated diverter allows for effortless switching between the two. 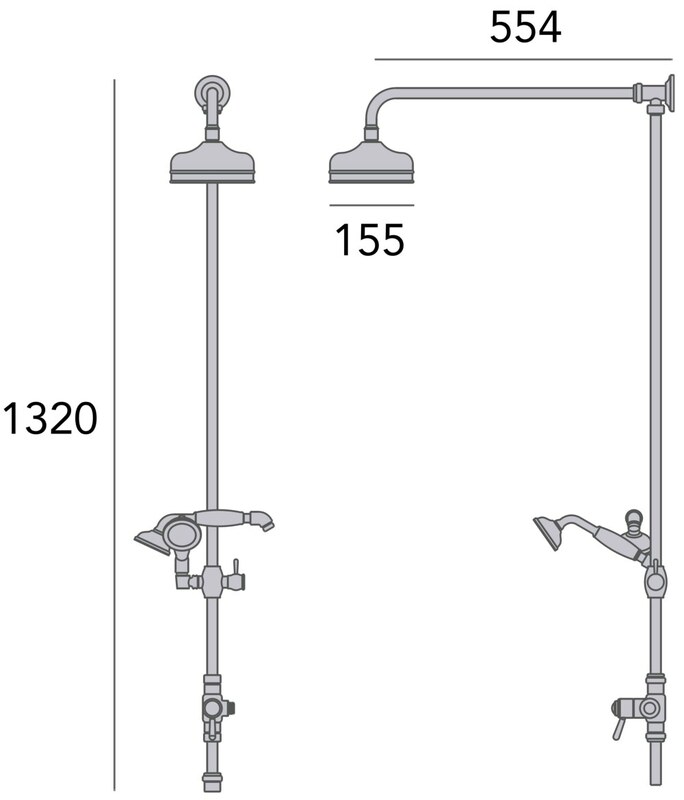 Designed to be used with exposed valve having a top outlet, this ensemble adopts a traditional approach throughout. 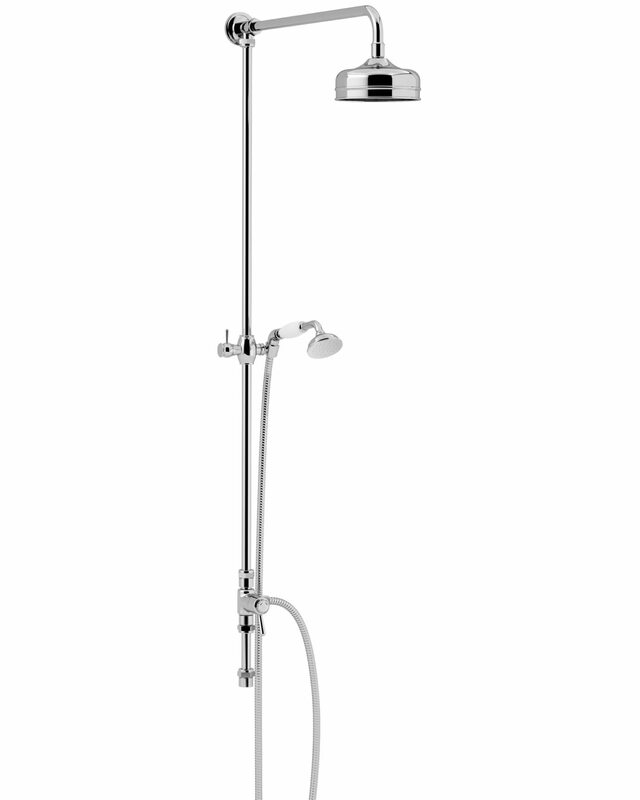 The shower rose provides plenty of reach to create an enveloping showering experience. A flexible hose allows for comprehensive use of the round handset with white detailing, which fits snugly in the hand with its ergonomic grip. A dazzling Chrome or Vintage Gold finish adds bright lustre to the bathroom décor.